This whisky was distilled in 1996 in a pot still from 100% rye. Bill Ashburn, John Hall's predecessor at Forty Creek, carried the grain in himself to the fermenters, did the distillation, and even hand bottled all 102 bottles. So, he really was involved from grain to glass - in an interview with Mark Gillespie of Whisky Cast he said the stuff tasted pretty bad until about 5 years ago, and they decided to release this year at 43%. This whisky took home the 2019 Canadian Whisky Awards this year, of which I was one of ten judges across the world. This review content is from my small blind sample which I tasted completely blind (all I had was a number identifier - this was number 98). I rated it quite well - in 20th place, tied with 7 other whiskies (there were well over 100 whiskies in the awards). But, that means, to win the competition a lot of other judges must have taken to this a lot more than I did! The bottle is still, to my knowledge, not been released by the LCBO who have all of the product in their warehouses. So, this is not from a purchased bottle, but rather from a blind sample as part of a pretty intensive judging process. This is quite unlike most Forty Creeks I’ve ever tasted. It’s very grainy, with a rich fruitiness – licorice, fennel seed, rye oatmeal – and a very rich oak character. We also have banana, rhubarb, spice cake, red river cereal, and rich oak. Awesome complexity, with both a subtle earthiness and creaminess which add significant intrigue. In my blind tasting, I actually mistook this for a mature micro distillery product (it’s similar to North of 7). This was because of the the rich grain focus and sharp spice, which tends to be more the focus of the small distillers. This has a terrific depth to it, and the roundness and intrigue of the entire product is just fantastic. One of my favourite Forty Creeks of all time, vying for greatness alongside the best of Forty Creek (indeed, some of the best of Canadian whisky): early batches of Confederation Oak, Heart of Gold, and Evolution. If I must supply a numerical grade, I rate it on par with Heart of Gold - and it's the best thing I've had from Forty Creek in quite some time. 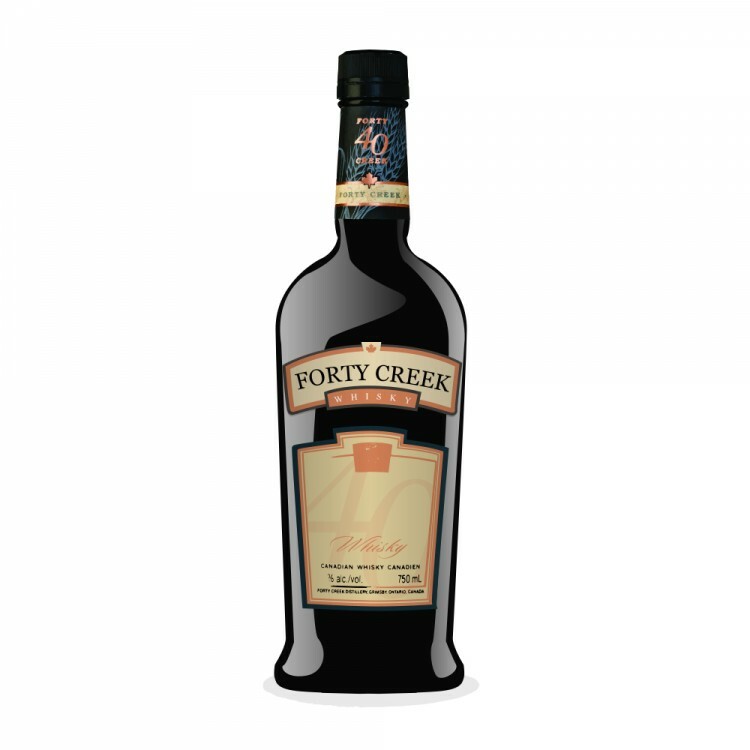 Forty Creek Confederation Oak Reserve Canada Eh! Thanks for your review. This whisky sounds intriguing. But at $225, I’m going to have to pass (even if one was available near me). I would probably purchase this bottle, but with only 102 bottles available, I doubt I will get the chance. Such a limited bottle should not have been eligible for the WOTY, IMO. I guess in the end it just becomes a footnote in Canadian Whisky lore as the bottle that never was. Excellent review.